This is probably one of South Africa’s most anticipated new cars. More so because yesterday’s Polo becomes today’s Polo Vivo, as they say. So here in a double whammy is a new set of Volkswagen Polos for everyone to get rather excited about. 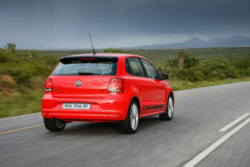 I was fortunate enough to test the two back to back, starting with the new Polo itself. 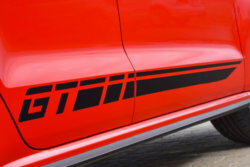 In my case I had the ‘Comfortline’ with an optional Beats package in black with racing stripes. Yes, I know. Read also: All new Ford Fiesta: begging the question; why buy a Polo? The inside is rather nice, I must admit. A decent set of sports seats that were a light cream and black, complimented the Beats dashboard in the same colour scheme, with red accents. It’s a very clever thing VW has done here, partnering with the Beats brand. 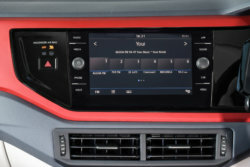 The Polo is fiercely popular with youthful types and the option of adding a snazzy sound system with interior and exterior trinketry is sure to absolutely fly off showroom floors. The hype created in the parking lot of our shared office space is sure to sell a few units anyway. To the car itself, which is expectedly rather good. It’s comfortable, quiet, refined and well stuck together. 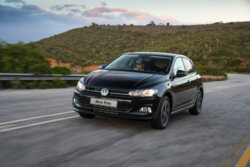 The 1.0 litre turbocharged petrol unit produces 70kW, in this guise mated with a five speed manual gearbox as opposed to the more common seven speed DSG unit. It’s the combination I’d opt for personally as despite its mature stage of development, the DSG ‘box does still have its reliability issues. 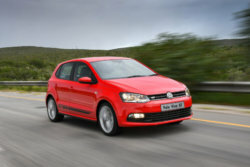 At a base price of R264,700 with R13,000 added for the Beats package one can’t exactly punt the Polo as a bargain. My test unit had a few additional options too, like cruise control, park assist, climate control and auto wipers and headlights which all add up to a final price nearing R300,000. Put that up against an equivalently spec’d Ford Fiesta or Renault Clio, in my opinion the strongest two competitors, and the VW is found wanting in the value stakes. 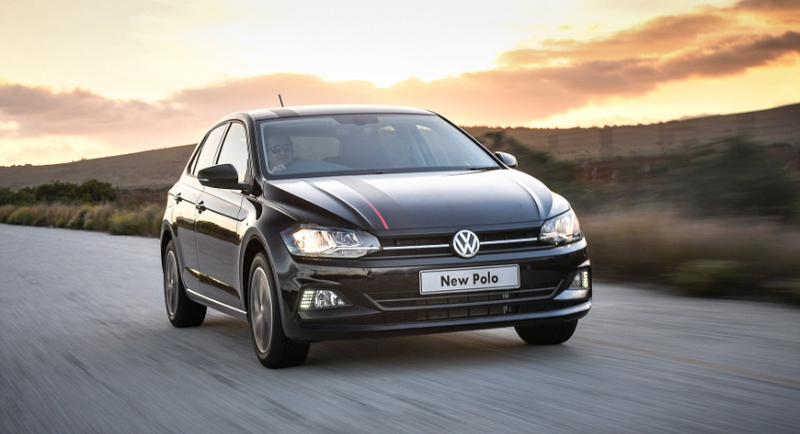 Coming to yesterday’s Polo, now called the Vivo, the value proposition is somewhat stronger. Starting at R179,900 one can pick up a 1.4 litre Trendline Polo, which while spec’d only slightly better than a Siberian prison does come relatively cheap for something with a VW badge. The model I had on test however was the ‘sporty’ one, called the GT, which costs R245,000. 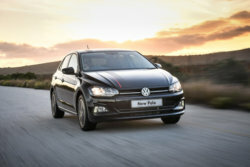 The GT sports a the 1.0 litre turbo unit like the new Polo, just pushing a few more ponies at 81kW. Also mated to a manual gearbox, the GT gets nice sporty seats wrapped in leather (albeit for an additional R9,300) and some no cost perks like cruise control. Read also: VW Golf GTI 7.5: Brilliant but is it fun? It’s something of a baby Polo GTI this Vivo GT thanks largely to sharing some of the suspension gubbins from the old Polo GTI. Its punchy torque delivery and racey appearance all adds up to quite a desirable package, I must admit. Competitors are few and far between too, given that Suzuki no longer offers the Swift Sport while you’d need an extra R40,000 to get into an Opel Corsa Sport (although admittedly a much more powerful and better spec’d car). The closest thing would be Peugeot’s 208 GT at a R15,000 premium. All in all VW has once again delivered the goods. 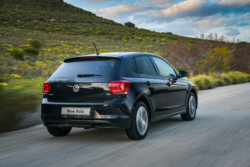 The new Polo itself is overall a more refined package and continues on all the strengths VW has instilled in the model over a number of years at the top of the sales charts. With the new Vivo, VW can offer value from what is a mature product, with the platform having hit South African shores back in 2010. The GT offering a fun little performance package off that low cost base is a clever niche VW has exploited. No doubt we’ll continue to see Polos at the top of sales charts.